Many home sellers try to sell their home on their own, but in today’s difficult housing market, that can present some challenges. While it may seem simple to sell your house yourself, you’ll have better opportunities if you work under the guidance of a qualified real estate agent. 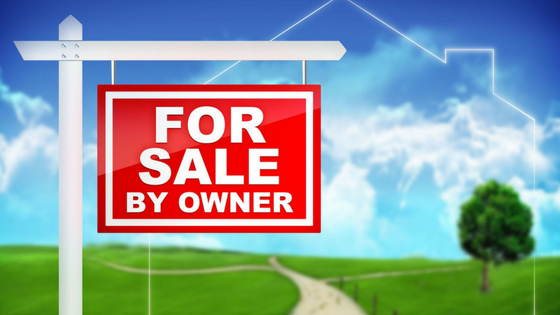 Learn about the some of the challenging factors of trying to sell your house on your own, and find out why you should always work with a professional real estate agent. If you’re trying to sell a house on your own, you may run into complications you didn’t anticipate, which is where a real estate agent’s experience can be beneficial. Real estate agents know the market and can get the highest price available on the market, as well as anticipating potential problems and ensuring the entire process is streamlined. Real estate is local. A real estate agent knows how to sell a home in the current market, how to budget properly, how to get a return on small updates or renovations and how to stay ahead of problems that may crop up during inspections. Real estate agents also have access to a larger pool of potential buyers, which helps the home move faster and at a better price. Real estate agents also know how to price a home. Inexperienced sellers will often use estimators on websites or attach value to aspects that don’t actually increase a home’s value, whereas an agent can determine the appropriate price based on a variety of factors, including the area the home is in, the traffic in the area, work that the yard needs and other small details that affect buyer behavior. Inexperienced sellers can also run into problems with liability and advertising. For instance, a seller may use words that seem innocent, but can be discriminatory or false. Sellers may also make statements that make them vulnerable to a future lawsuit without realizing it. A real estate agent is familiar with the laws regarding advertising and the potential for liability when discussing and showing the home. When you’re trying to sell your house on your own, you may also hold public open houses and showings with complete strangers, which can be unsettling. This can not only waste valuable time, but it can also leave the home vulnerable to burglary or other criminal activity in the future. With the help of a real estate agent, however, only qualified buyers are entering a home, and they’re accompanied by the real estate agent. Current home buyers are well researched and know how to negotiate for a home, which can put a seller in a tough spot. Most people don’t have the necessary training to handle a negotiation properly, which can lead to frustration or a loss on the home. Real estate agents are specifically trained to negotiate with different types of buyers, so they’re in a position to keep the advantage and get the best possible price for a home. With the challenges and pitfalls of trying to sell your house on your own, it makes sense to work with a qualified real estate agent to make the process as quick and painless as possible. At RE/MAX Northstar, our experienced real estate agents have the knowledge and training to navigate the current housing market and get you the best price for your home. Contact us today to get started!